what you using for sports on kodi? I didn't know David Lemieux was on the card too. HE's a killer. Would love to see him in with Canelo. I'm still picking Julio Cesar Chavez Jr. to upset Canelo...........................................by knockout. Canelo already ahead 3 rounds on the judges scorecards cards in the 1st round. You don't like Canelo huh? Comment was more against boxings farcical judging. I don't dislike Canelo, just his ties with Golden Boy Promotions but would lol if he got KOd to chit on Oscars plans. a doctor should look at Reyes because no human can take that many punches in the head and stay standing. Sparring. I was trolling you salty circle jerkers when I picked Chavez Jr.
lol you've disappointed me more than Jr. did Sr. today m8. Boxing officially has retaken the lead over MMA with that announcement. If you have to ask, **** off! The lazy piece of chit got shutout? Was averaging about 21 punches a round past the 3rd? The contest sucked? Still better than T-Wood vs Wonderbread. Got it recorded, worth watching or not? That fight went pretty much exactly like I though ti would. Canelo is unbeatable right now. I know punch stats aren't everything but it says Julio only landed 71 punches the whole fight, round it up and that's basically 6 punches a round. One punch every 30 seconds was Chavez jr asleep in there or something. Oh and classicboxer im glad I didn't buy your wolf tickets that Chavez was going to win lol. Canelo/Chavez did 1+ million PPV buys. For all the **** I gave Golden Boy for all the f***ery over the last couple years, it was probably best for GB and boxing. They milked Canelo and GGG/Alvarez will be yuge! LMFAO did you just say Haye chickened out againts Briggs???? Just the fact Briggs is even mentioned as a boxer any more is enough to shame me into denying I was ever a huge fan. The rest of the current cans wouldn't have lasted a round in the 70's through 90's, with a few exceptions..
Sure I seen he will be fighting for a heavyweight title. Credit to James Toney, 48 years old just won WBF title and still getting paid. Shannon Briggs fight off as he gets busted for having double the testosterone in his system. Dammit, I was looking forward. Nooooooooo I was so looking forward to seeing Briggs get another crack at gold. THE British Boxing Board of Control has flattened Tyson Fury’s hopes of a quick return to the ring by confirming it will not lift his suspension until his doping case is resolved. The 28-year-old lost his boxing licence last October, a day after he vacated his IBO, WBA and WBO heavyweight titles citing depression. However, the Manchester-born fighter had already failed a drugs test in the United States for cocaine and been charged with the use of a prohibited substance by UK Anti-Doping (UKAD). With Fury now back in training, UKAD is his most serious opponent, as his National Anti-Doping Panel was postponed earlier this month, with no date set for its resumption. Brook vs Spence Jr. - bet your mortgage on Spence. Miguel Cotto will fight for the WBO Junior Middleweight title (154lbs) August 26th against Yoshihiro Kamegai. The title Canelo Alvarez vacated in pursuit of his with GGG. Kamegai 27-3 with 24 KO's is an awkward styled aggressive fighter. He sounds like a promising challenger for Cotto until you see the class of fighter he has fought. His most notable fight is a unanimous decision loss to Robert Guerrero. On paper this looks like a good fight to get Cotto back in to the media and get him a world title to quickly re-establish his marketability. Previously, Cotto had said that 2017 would be his final year in the ring. But he admitted Wednesday that he is not firmly committed to that being the case. Fighters, of course, often change their minds about retirement. 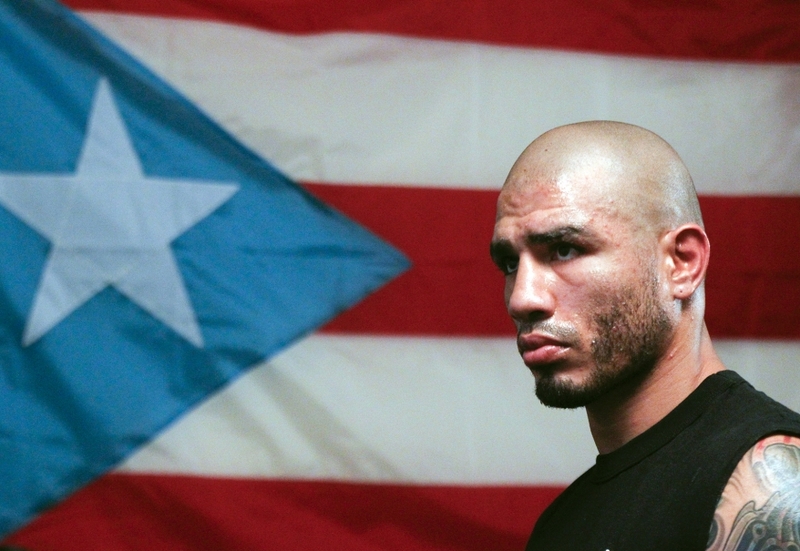 If all goes well Aug. 26, Cotto said he would next fight Dec. 2, opponent to be determined. And then he will consider another fight. lol boxing has been a circus money grab since its inception. I dont get the rustle. If youre a boxing fan, you have to like it cause its going to end 2 ways. Boxing embarassing MMA or Floyd getting flash KOd. The HBO/GB fanboys are just rustled about Floyd stealing the shine. Canelo vs. Chavez jr. was a money grab and people were selling that like it was the greatest Mexican vs. Mexican fight of our time. Pacquiao vs. Vargas was a money grab, Manny should have been fighting Crawford. Haye vs. Bellew was a money grab, one of the biggest fights British boxing had this year and it was pointless. The same people who bought those fights will be the ones who buy this farce too. Plenty of boxing fans were against the match ups you mention. Differences is that they were at least real boxers. McG got boxed up by Nate ffs. This match up is a bigger insult to the sport than any those. Haye vs Bellew was surprisingly competitive. I had Ward up by 1 at the time of the stoppage. How anyone can watch Ward mugging people and think he is the p4p best when you got to see Rigo just before that is ridiculous. I'm now officially a Viviane Obenauf Fan... What about you? Cotto is getting beat up for a living these days. I would rank him in the top 5 for Guys Most Likely to get Brain Damaged. Anybody seen Jeff Horn fight?